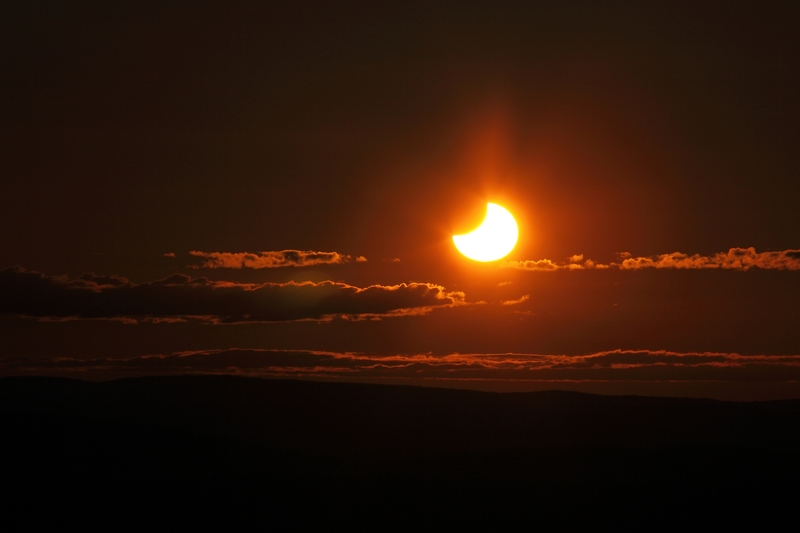 Explanation: On June 1, the shadow of the New Moon was cast across a land of the midnight Sun in this year's second partial solar eclipse. This picture of the geocentric celestial event above the Arctic Circle was taken near midnight from northern Finland's Kaunispää Hill in Lapland. 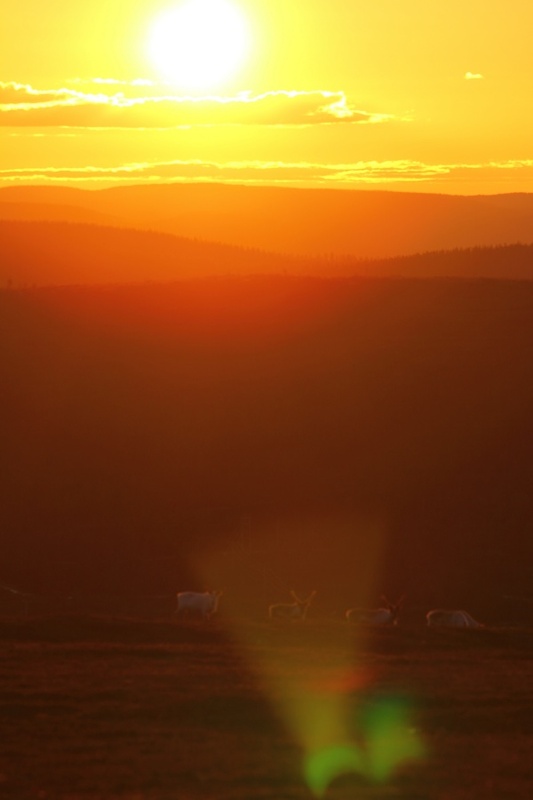 Of course the region's reindeer were able to watch as both Moon and Sun hugged the northern horizon just above a cloud bank. Also visible from parts of Alaska and Canada, the eclipse began at sunrise in Siberia and northern China at 19:25 UT, ending about 3.5 hours later north of Newfoundland in the Atlantic Ocean. Remarkably, just one lunation later, on July 1 the New Moon's shadow will again reach out and touch the Earth in a partial solar eclipse, limited in visibility to a relatively small area in the Antarctic Ocean. July's eclipse will be followed by the fourth and final partial solar eclipse of 2011 on November 25. That eclipse will be seen from a southern land of the midnight Sun.